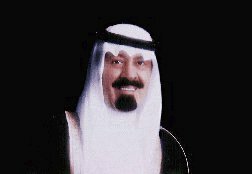 In August, 2005, Abdullah bin Abdul Aziz, formerly Crown Prince, became the sixth King of Saudi Arabia, Custodian of the Two Holy Mosques and Prime Minister. He remained head of the Kingdom’s National Guard which he has commanded since 1962. Born in Riyadh in 1924, he was given a formal religious education. Throughout his long public life, HRH Crown Prince Abdullah has exerted a major influence on both the domestic and foreign policy of the Kingdom. King Abdullah has added to his early education at the royal court with extensive reading of history, politics and social affairs. His years spent with the bedouin in the desert reinforced in him the traditional bedouin values of honor, generosity, simplicity and courage. From the early years of his manhood, he has been closely involved in events inside the Kingdom, invaluable experience not only for dealing with the internal affairs of the Kingdom but also for the role he has played on the wider stage of international affairs. He has visited most of the Kingdom’s allies and has used his good offices to mediate in negotiations between other Arab states. The appointment in 1962 of the then Crown Prince Abdullah as head of the National Guard (formed originally from the descendants of those who fought alongside King Abdul Aziz (Ibn Saud) to consolidate the Kingdom) was particularly appropriate in view of his intimate knowledge of the tribes of the Kingdom and his love of the desert and its traditions. Since his appointment, the King has transformed the National Guard into not only an effective modern military force but also a unique social and cultural institution. 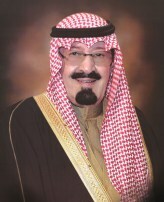 He has played a particularly noteworthy role in preserving and celebrating the cultural heritage of the Kingdom. A major element in the preservation of the Kingdom’s heritage is the annual National Heritage and Cultural Festival, inaugurated in 1985, and held in Jenadriyah. With the King as its patron, the Festival which includes folksong, dance and literary events, attracts visitors from all over the Kingdom of Saudi Arabia. 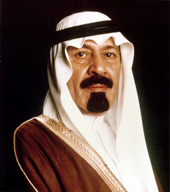 As Crown Prince, Abdullah was appointed Second Deputy Prime Minister in 1975 on the succession of King Khalid and, when King Fahd succeeded to the throne in 1982, was named Crown Prince and Deputy Prime Minister. In his capacity as First Deputy Prime Minister, Crown Prince Abdullah presided over cabinet meetings in the absence of the King. In August, 2005, he became King on the death of King Fahd.